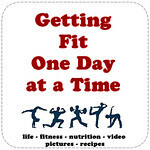 Getting Fit One Day at a Time: Do You Want To Preview LIIFT 4 For Free? So excited to share with all my amazing followers a free workout preview of the next fitness program that Beachbody will be launching called LIIFT 4. Joel Freeman is the Super Trainer who created this program. The goal is to give you a 4 day a week workout schedule that combines strength training and HIIT type exercises into your workouts to maximize the burn and your results. If you would like to try it out, for free, Fill out the form below! If you ALREADY have a coach please contact your coach for more information. If you do NOT have a coach it’s super easy to MAKE ME YOUR COACH! A Coach is FREE and my job is to support you in choosing the best fitness program to meet your needs, help you navigate the nutrition plan and when you purchase your products through me you are also able to join my support & accountability groups that I run online as well. It’s a great resource that really helps you get the very best results possible. Definitely let me know how you like it and if you are not plugged into my support and accountability group and would like to be- make sure to let me know ASAP so I can get you enrolled and into the next group in preparation for the official pre-sale of this program on the June 11th and launch on July 16th!